Please find below a quick and easy guide on how to place an order on the LGC Webshop. Login to your LGC webshop account. Find the reference materials you need via the online search and add items to your basket. Use our simple check-out process to complete your order online. Select to pay via your LGC credit account or by credit card, and then select the billing and shipping addresses when checking out. Once LGC receives your order it will be processed and shipped. 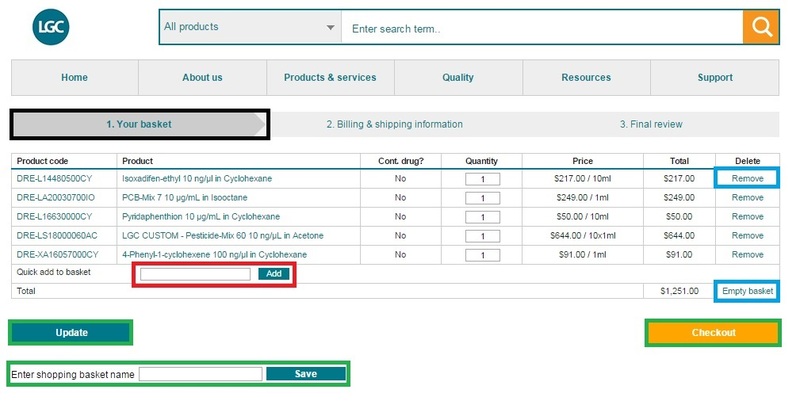 In the online search bar, see Enter search term... users can search either by all products, or further narrow down their search by using the drop down on the search bar menu – options include: product name, produce code, CAS number, analyte and drug group. 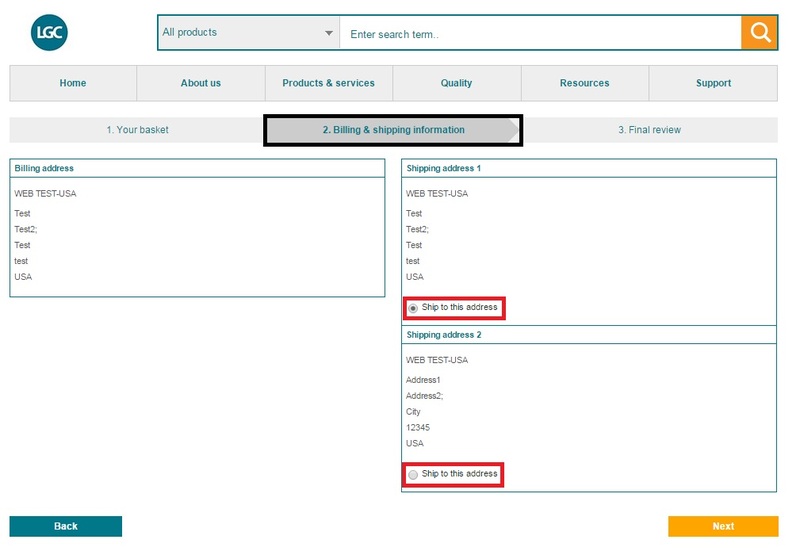 Users can review the items in their basket and take the following actions below. Basket Quick add – Type in “Exact” Product Code & click “Add”. This adds item to basket. 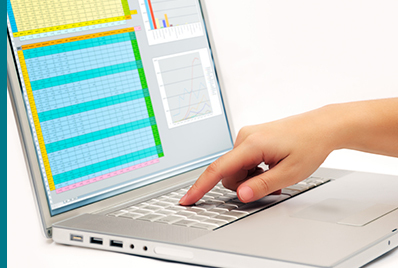 Remove items – Remove a single line by clicking “Remove” in the “Delete” Column. Clear all items – Click “Empty basket”. A confirmation will ask you to confirm. Update items – Update quantities by clicking on the “Update” button. Checkout –Progress order by clicking “Checkout”. 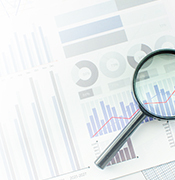 Users can review the billing address information and select their shipping address. 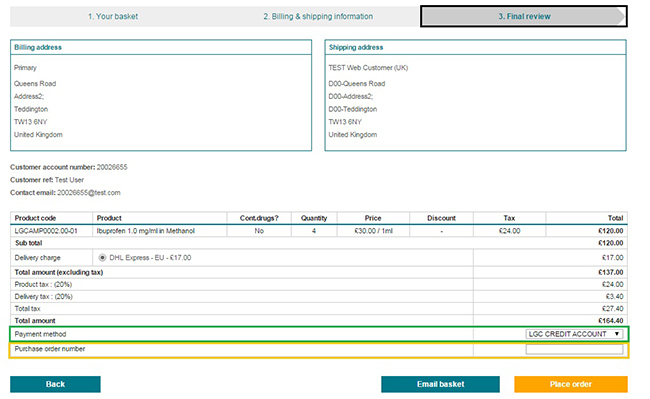 The final review page is where a user can review the full order details including the product subtotal, discounts, tax and freight information. Basket lines include prices inclusive of contract specific discounts, plus any additional quantity based discounts if applicable which are listed above in the discounts column. Controlled drugs (Cont.drugs) inform user if products are controlled. Controlled items may incur an additional shipping charge or license fee. The sales office will be in touch if applicable. Click “Place order” button to place your order with LGC. 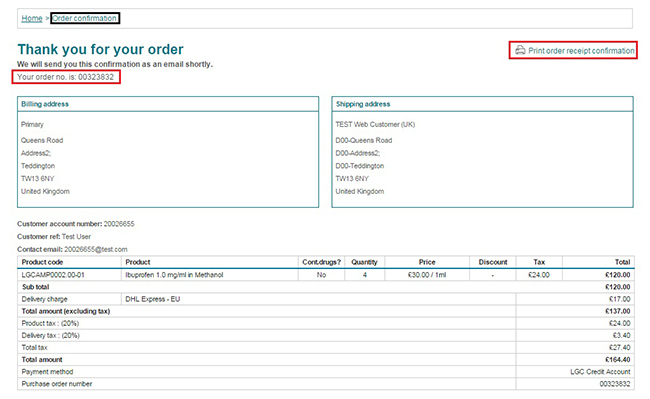 Upon placing their order with LGC a user is shown an order confirmation page summarising the order as illustrated below. Order will be listed in “Order history” section of the LGC webshop, where users can track status of their order until receipt.